Utsunomiya Museum of Art was opened to public on March 23rd, 1997, as a part of the centennial anniversary project of municipal organization. The site is situated in a forest in the north part of the city, where ecosystem is conserved in the most natural state. Thus, the museum is planned as a low-storied building with two stories above and one under the ground. Its design harmonizes with the natural environment too. Public zones such as galleries, lecture hall, reading lounge, museum shop and restaurant are all located on the first floor, and the floor level is kept as flat as possible so that wheelchairs and baby strollers can be moved smoothly. Museum activities cover collection, research, exhibition and education of art and design of the 20th-21st century. The collection is introduced in the “P ermanent Collection” gallery, while masterpieces of the world and various aspects of art and design are shown in “Special Exhibitions” held five or more each year. 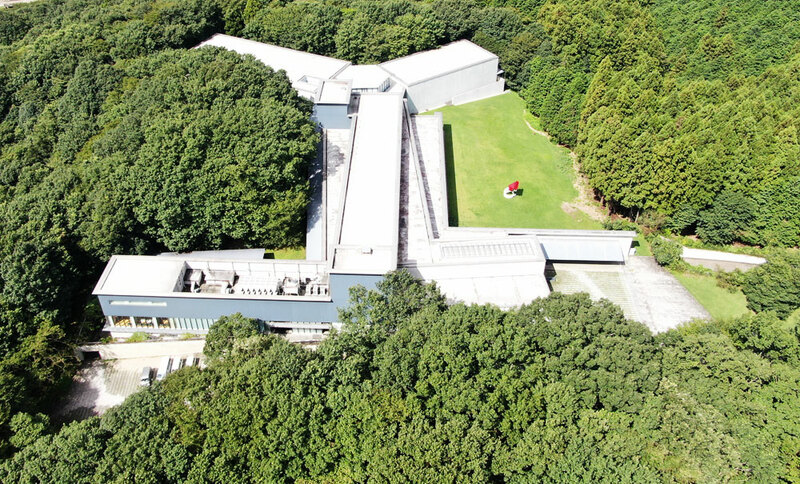 The park “Utsunomiya Bunkanomori” surrounding the museum was established making the most of the hilly landscape aiming at “harmony of nature and art.” “Weedy Hill” was the former farmland, and park lanes were woodland paths in the past. Trees and plants were not planted from outside but transplanted within the closed area. In such a preserved environment, three outdoor sculptures that harmonize with the nature are exhibited in the site. They can be seen in “Weedy Hill,” “Flower Promenade” ［Main Lane］ and north garden of the museum. ［except national holidays］, days after national holidays ［except Saturdays, Sundays and double holidays］, year’s end and beginning, periods during exhibition change and facility maintenance. ※Tax is included in the above. Group visits are available at reduced rates for a minimum of 20 people. Special exhibition ticket includes permanent collection admission. ＊High/junior high/elementary school students living or attending to schools in Utsunomiya. ＊Citizens of Utsunomiya on April 1st［ Utsunomiya Citizen’s Day］ and November 3rd ［National Culture Day］. ＊High/junior high/elementary school students of family visits on every 3rd Sundays ［Utsunomiya Family’s Day］. Admission for adults and university/college students of same family is reduced to half price. ＊Visitors with disabilities and one caregiver. Please show your public certificates at the reception.